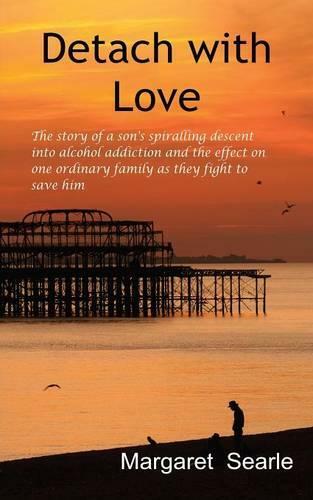 Detach with Love is the story of an articulate, intelligent and loving son who turned from a normal eighteen year old about to start university, into a chronic alcoholic in just nine short years. It is a tragic true life story told by his mother and written using testimony taken from the diaries he wrote while in rehab. It routes the tragic path he chose to take - binge drinking to excess followed by periods of sobriety as he struggled with alcoholism, and had to confront the issue of his own sexuality. David's tragedy was his family's tragedy too. We lived through the horrors of his short journey, desperately trying to help him. Towards the end his need for drink had him stealing the stuff- or worse; in his desperation for alcohol he sunk to the very depths. Not only was our family fighting for our son's life, it seemed to us we were also fighting against those in society who should have been there to help David. Detach with love should be required reading for everyone associated with the field of addiction. It demands a rethink on the accepted wisdom of non- intervention, and society's view of addicts.